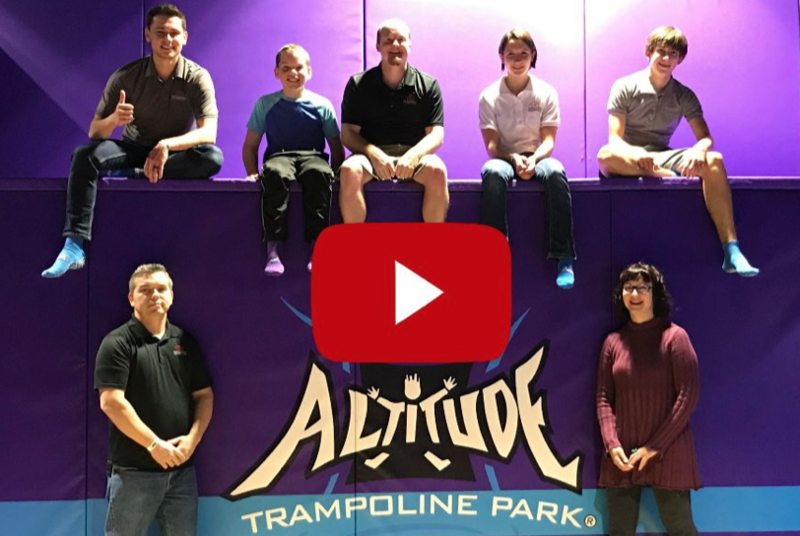 Rock wall climbing, dodge ball, trampoline lanes, birthday parties, and the ropes course are part of the fun at Altitude Trampoline Park in Round Rock. The Raulston Group enjoyed the team building exercises as well as the individual trick shots with basketball and flips into the foam pits! This indoor gem, or gym if you prefer, is tucked at the intersection of I35 and Tollroad 45, 2800 S I35 Ste 200 in Round Rock. The Battle Beam competitors tried to dominate with balance and precision over a foam pit. Guess which realtor won our gladiator competition???? Jump to the video above and watch to the end for results. Flips on the trampoline aren’t the only flips we do. Whether it’s a forever-home or flipping for an investor, we exceed all your Central Texas real estate needs!